No one loves one shoulder tops more than I do. 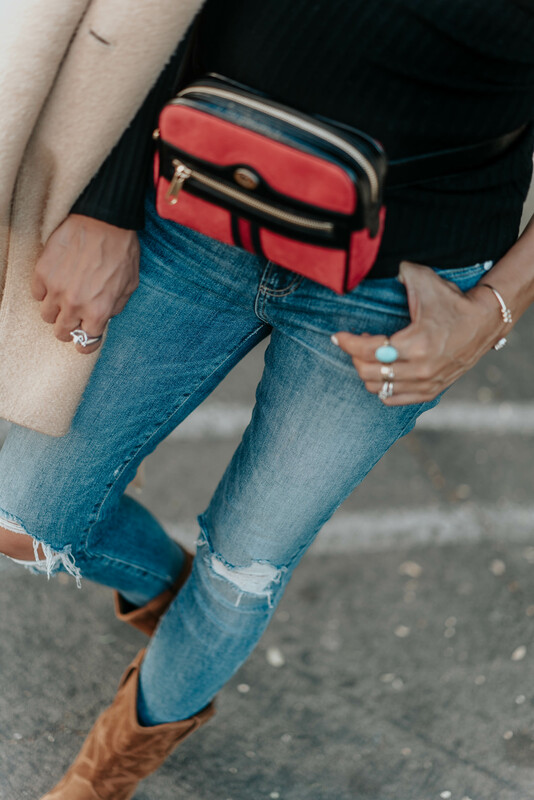 I rounded up a couple faves as well as these jeans which have been a favorite post-partum. They’re super flattering. I happened to be between sizes so I went up a size and added a belly band. What do you think? It’s been a sleepy couple of weeks with lots of helpers, thankfully! with a couple flattering basics, I can still look my best without overthinking it. Shop my jeans, top, camel coat, earrings, bag and boots below. Happy Tuesday!